This post comes from the desk of Norah O’Donnell, Volunteer Co-ordinator & Gift Shop Operations. With Mother’s Day just around the corner, we’re setting up for our annual Spring Fling Sale at the RMG Shop on Thursday, 8 May. As head of Gift Shop Operations, I often see guests torn between products, searching for that special gift. For mom, it must be unique, expressing your love and gratitude for everything she has done. At the RMG Shop, there is something to suit everyone’s taste – we carry a wide variety of handmade and locally-sourced products, one of which could be the perfect gift for mom! 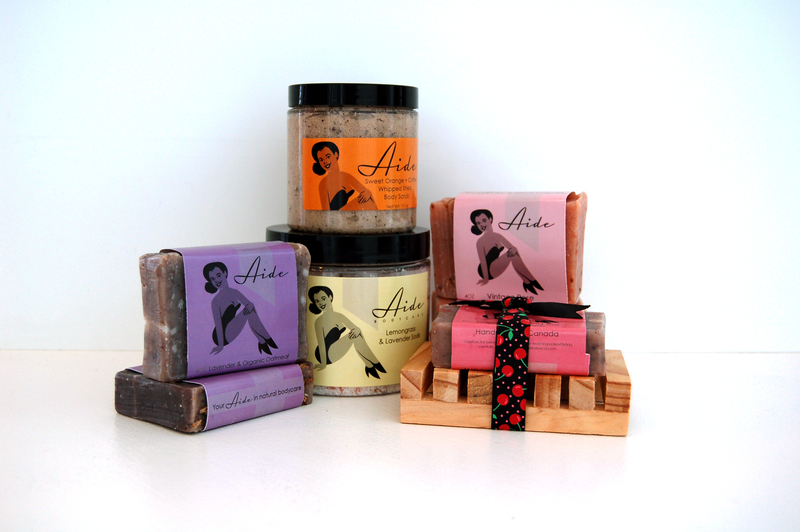 Aide Bodycare offers a variety of handmade soaps, scrubs and lipbalms that are perfect for pampering mom. Soaps are created using the traditional cold-process technique and feature such popular scents as Vintage Rose, Lavender and Organic Oatmeal, and Sweet Orange. What makes them even better? Owner, Michelle Treen, makes all products on location in Bowmanville. A featured member of Ontario Craft, Filipa Pimentel creates beautiful ceramic pieces that are a mix of functional tableware and decorative art. 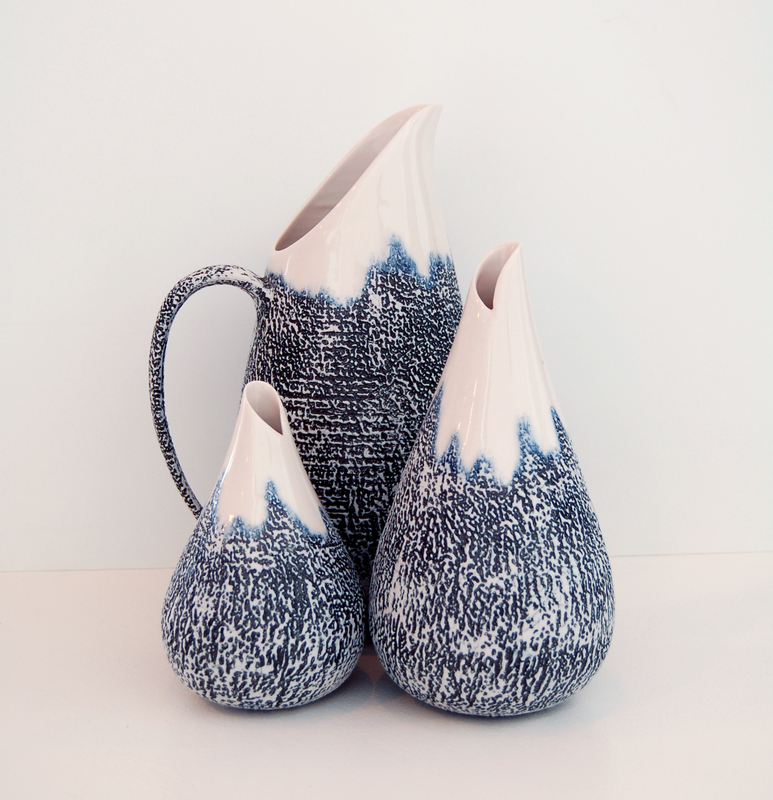 The RMG Shop features her textured line that includes pitchers, serving bowls and bud vases. Each work is unique and influenced by her love for the ocean. These would be a treat to any mother’s home. For those looking for jewellery ideas, the Bella Accessory line has many styles to choose from, making it perfect for the fashionista mom! 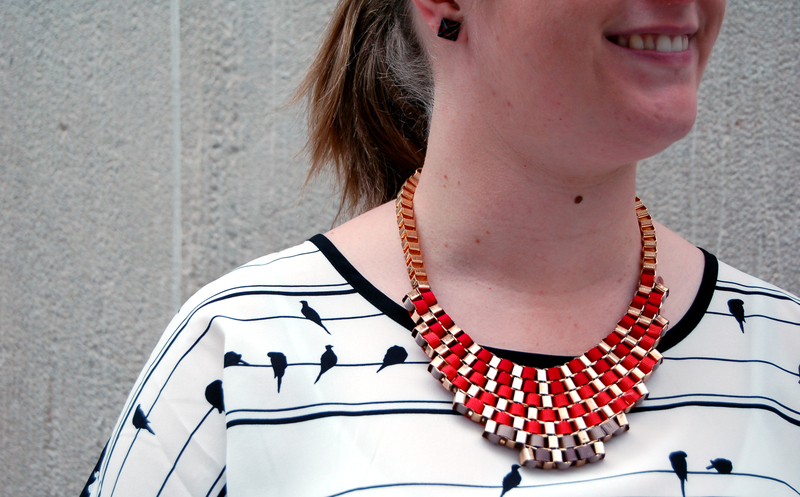 My personal favourite is the chunky bib necklace made of woven red, orange and gray ribbons – it makes a great addition to any wardrobe and can be paired with a matching bracelet for that extra pop of colour! Tealish Tea – Give the Gift of Tea! Who doesn’t love a good cup of tea? 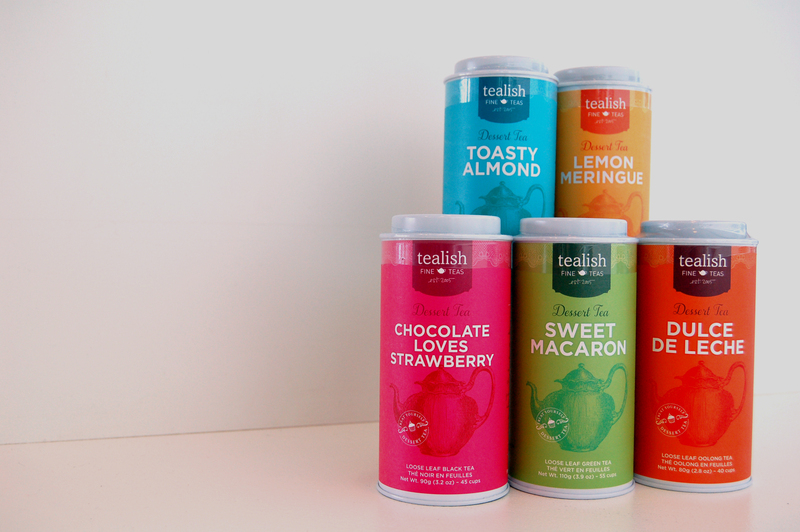 Based in Toronto, Tealish makes gifting easy with their loose-leaf tea canisters in a variety of flavours including Toasty Almond, Sweet Macaroon, Dulce De Leche and Chocolate Loves Strawberry. Mom will treasure these timeless necklaces forever. 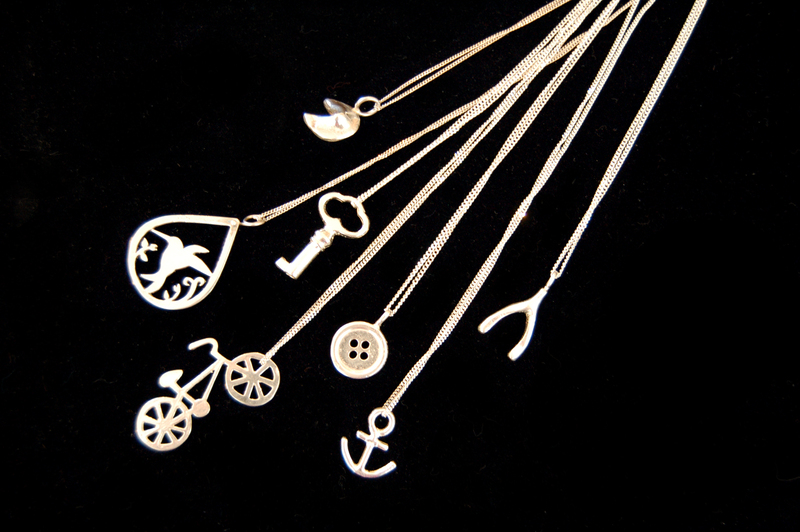 Fiona Louie, of Vancouver, creates wearable works of art by transforming her own sketches into solid sterling silver necklace charms. Her signature style includes cut-out silhouettes of whimsical bicycles, anchors, fortune cookies and more. Join us on Thursday, 8 May from 10 am – 7 pm for our annual Spring Fling Sale in the RMG Shop. For one day only, receive discounts of 10-50% off select merchandise! From family art activities, relaxing yoga for all ages, a classic brunch in our restaurant, Arthur’s on the 4th, to thoughtful gifts in our shop, the RMG has you covered! For details on our Mother’s Day events, click here. For our Mother’s Day edition of OPG Second Sundays, click here.